There is no Nobel Prize for biology, but the discipline’s top award, the International Prize of Biology, has been awarded every year since 1985 by the Japan Society for the Promotion of Science. 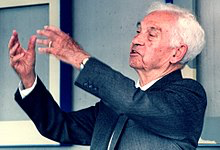 Of the 15 Americans who received the prize between 1985 and 2017, four were immigrants to the U.S.
Ernst Mayr, who won the prize in 1994, was honored for his work in systemic biology and taxonomy. Born in Germany in 1904, Mayr came to the U.S. to work in a curatorial position at the American Museum of Natural History. He joined Harvard’s faculty in 1953. Masatoshi Nei won the prize in 2002 for his work in evolutionary biology. He was born in Japan in 1931 and came to the U.S. to teach at Brown University and later at the University of Texas at Houston. Biophysicist and cell biologist Shinya Inoue won the prize in 2003. 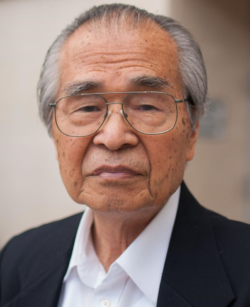 He was born in Japan in 1921 and came to the U.S. to pursue graduate work at Princeton University. Joseph Altman won the prize in 2012 for his work in neurobiology. He was born in Hungary in 1925, survived the Holocaust along with his family. They came to the United States by way of Germany and Austria. In the 1960s he discovered that adult brains could create new neurons — an insight that was overlooked until the late 1990s.